Session 0 is part of the preliminary planning part of any major campaign, and it’s one thing that I had never done before yesterday, but having finally done one I cannot recommend it enough. 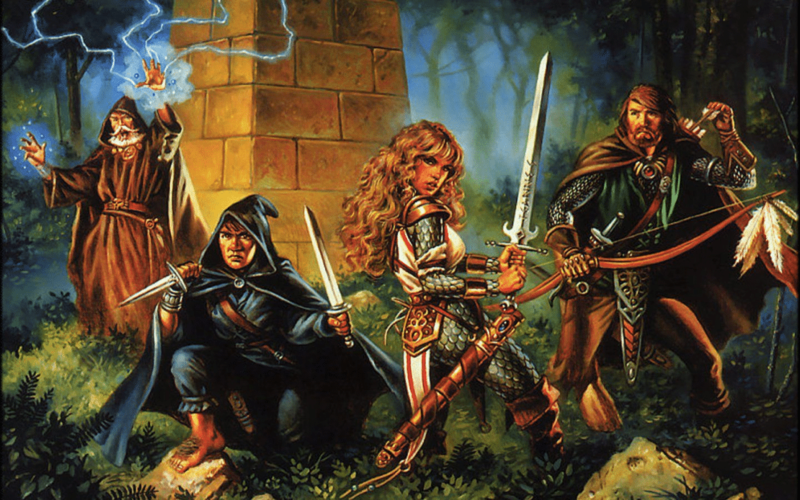 Generally what it is, is a session before the campaign officially begins where the DM and the players have a meeting where everyone talks about their ideas and goals for the campaign. The idea behind this is that the players will come together and give the DM ideas that they want to be thrown into the campaign, so if you plan to run a session 0 you may want to do it early on in the design process as I did. I personally only had the map, the premise of the campaign, basic information about the towns/cities, and the important races. At the start of the session present this to your players and if they have questions/concerns acknowledge those first. From there you can talk about pretty much anything related to the campaign, but for my group, we decided to talk about each person’s character in a bit of detail. This helps me as I know what their party makeup will be so I’ll have an idea of what sort of encounters to create for them as well as some of their goals and motives for their characters. This REALLY helps the players as they all know what each other will be playing so that they can balance out the party and ensure that there are no weak points, for instance missing a magic-using class. Next and lastly I asked for any sort of ideas for the campaign or if they wanted anything specific. At this point, they had learned what the setting would be like and what each person was playing so they had a better idea of what they could do. I got a few great suggestions for content as well as the overall direction of the campaign. For instance, someone brought up the idea of them all starting off as traveling circus performers since they seemed to all be misfits/homeless. It was a hilarious, but really unique and awesome idea that I’m absolutely going to base their first session off of. As the DM, what do you need to get ready before session 0? The simple answer is whatever you want to have ready for the players. Realistically you’ll probably want a generalization of all the topics you want to cover rather than 100% fully fleshed out ideas, or be willing to change things if the group as a whole doesn’t love that idea. An example of this during my group’s session 0 was when the more I was talking about how each race interacts with all the other races differently one player piped up and asked if this would be another medieval high fantasy game. I said yes just because that is honestly the standard that I tend to throw out in my campaigns, and for the most part is the standard for D&D. However, they asked if we could do something a bit more modern such as the 1600s as they thought that would work in well with the theme of race relations and the world being on the brink of/at war constantly. The rest of the group really liked this idea so we’re going to run with it (without guns since I’m not a fan of those in D&D). The point of this is that I was never fully committed to this sort of setting in the first place, but the fact that all the players wanted something different from what I would normally write/create convinced me to try something new since everyone would rather this new setting. Got to cover all your bases! Learn more about party composition in this post! The players should come to session 0 with their own notes prepared. They’ll want to have all of the ideas they’ve come up with for both their potential character as well as the game itself written down so they can present them to the rest of the group. This is the night where they can officially get a significant say in the setting and overall theme of the campaign. Session 0 is also the night where the party can discuss their class distribution and flesh out the party’s strengths and weaknesses. This allows them to build characters that will work well with one another so you can have a group of people with a common goal. Ideally, all the characters should be willing to work together even if they have separate goals and aspirations. My group specifically has had problems where one or two people want to do something completely different from the main group, which really ruins the experience for everyone since the group is constantly split. This is the easiest, but one of the most important sessions you’ll run in the entire campaign. Just make sure that all the points I’ve touched upon come up at some point during the night, but most importantly relax and have a serious conversation with your players. This will pay off later since now you’ll have loads of ideas that your players WANT to be in the game. Get a notepad or open a word document and write down everything that you and your players come up with during the session. Some of these ideas may not be great in their own right, but with a bit more detail after the session, you could come up with something really great. Other things, like my group’s idea of being circus performers, are ideas that I would never think of but are amazing and unique ideas. Just set a relaxed tone, but keep everyone on track for coming up with ideas for their characters, the setting, and the goals/theme of the campaign and you’ll have a successful session 0. This is an optional technique you can use when making a new campaign. I have found this to be a useful tool in designing custom campaign. I have gotten excellent ideas for the direction of the campaign. It’s also an awesome way to hype everyone up for the campaign. A good Session 0 forces everyone to really start thinking about the game ahead of time. Plus it includes the players in the design process which is important to a lot of people, especially in a campaign you’d like to run for a long period of time. We all had a great time just catching up and talking about D&D too which was awesome since we’ve all been so busy since we graduated a few weeks ago. This also really makes me have to kick my planning into 3rd gear and start getting the meat of the game all planned out!